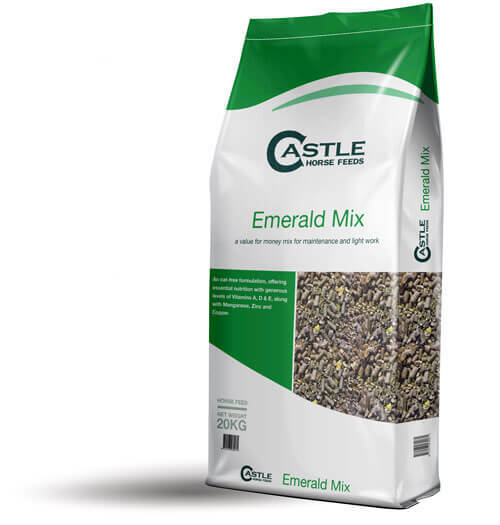 Emerald Mix is an oat free formulation providing essential nutrition. 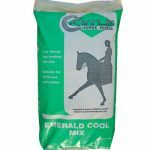 Emerald Mix is an efficient feed that supplies your horse or pony with the essentials needed to support general health and wellbeing at a very competitive price. Oat Feed, Rolled Barley, Molasses, Micronised Flaked Barley, Micronised Flaked Maize, Vitamins & Minerals. Feeding Rate: 450-700 gm per 100Kg of horse’s weight, depending on condition and work done.